Seattle's women's march winds around a speaker Saturday. At one point Saturday, Seattle's women's march against President Donald Trump stretched from the starting point at Judkins Park all the way to its terminus more than three miles away, at Seattle Center. It was a sea of pink hats and eye-catching signs that spilled through a city where just 8 percent of voters backed Trump on Election Day. "A woman's place is in the resistance," one placard read. Organizers estimated turnout at more than 100,000, based on the capacity of Judkins Park and the size of the crowd that spilled over into the surrounding blocks. If that number is accurate, turnout was double what was expected at the event, dubbed the Womxn's March on Seattle. Seattle Police Det. Patrick Michaud, a spokesman for the department, said there were no arrests or major incidents related to the demonstration. The march barely moved at times as it inched through the neighborhood surrounding Judkins Park, bottlenecking frequently, before winding through the Chinatown-International District and Downtown Seattle. It was planned as a silent march, in a nod to the solemn demonstrations of the civil rights era, but sporadic cheers and chants broke out on the unseasonably sunny day. At times, the atmosphere was celebratory. The event was called a "women's march" -- and held in conjunction with other women's marches across the nation -- but Seattle participants said they were there to draw attention to a range of issues, from climate change to the Black Lives Matter movement. "I'm marching for civil rights, but there are so many issues that are under attack that I think you'll find just about every civil rights and liberal, socialist issue here today," said Kimberly King, who traveled by ferry from the Poulsbo area. What they had in common was opposition to Trump, whose inauguration Friday was the impetus for the women's marches nationwide, including a main event in Washington, D.C.
"I do not support this president," said Gretchen Moosbrugger, 0f Kirkland. "And I feel like he's a threat to women and their right to have equal wages and access to health care and autonomy over their own bodies." "We've already been here, and we're not rolling it back," she added. Participants in the Womxn's March on Seattle cited a range of reasons for coming out. One day after President Donald Trump’s inauguration, women’s rights demonstrations are unfolding across the nation Saturday. Seattle's women's march is expected to be the third largest in the country, after similar events in Washington, D.C., and Los Angeles. That’s not surprising for a city where Trump won just 8 percent of the vote. 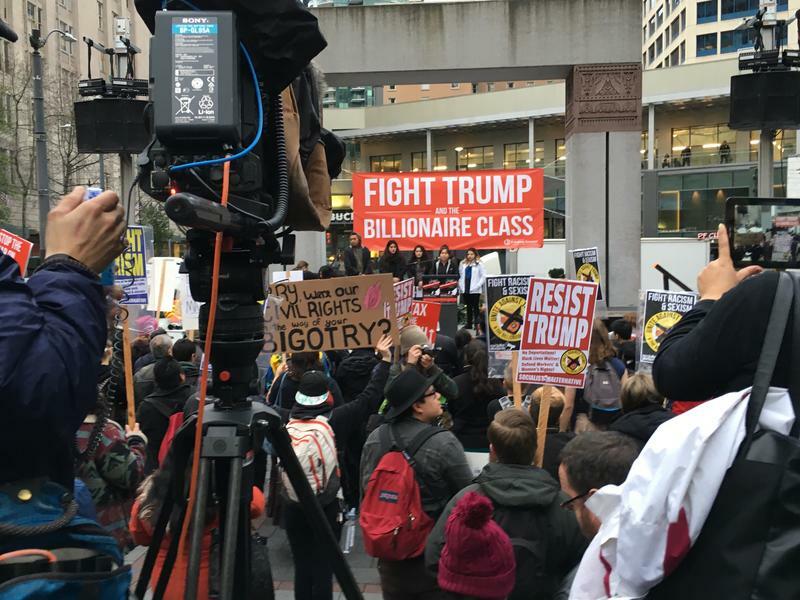 In Seattle, marchers left from Capitol Hill and the city's Central District, headed toward downtown's Westlake Park, where a large crowd rallied. 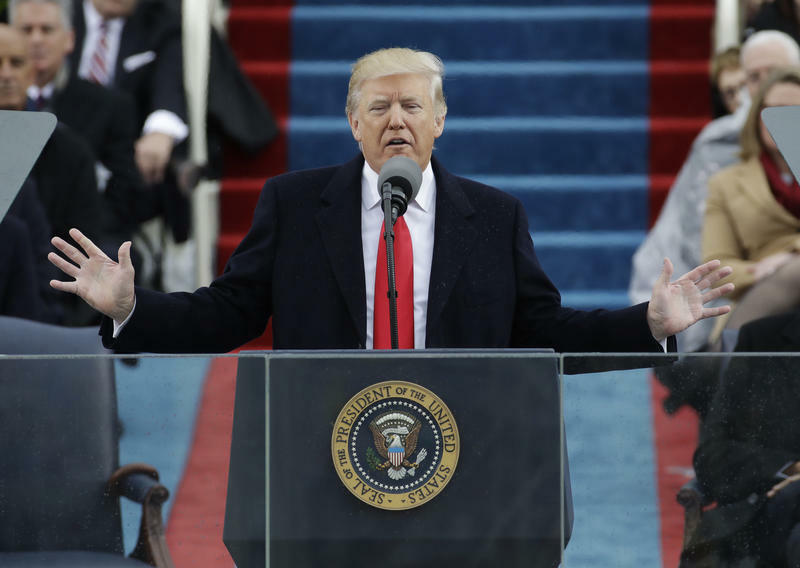 Knkx is bringing you full coverage of the swearing in of Donald J. Trump as the United States' 45th President. 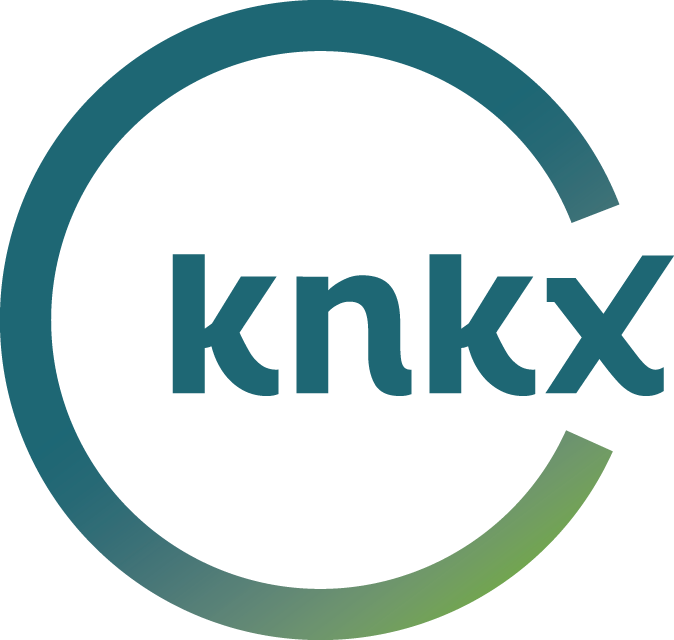 Join knkx Morning Edition Host Kirsten Kendrick, along with NPR’s Steve Inskeep and Audie Cornish. NPR will bring you the latest from the West Front of the U.S. Capitol in Washington D.C., overlooking the presidential platform.